Searching for a Reputable Construction Company in the Tri-State Area? Click Here To View Financing Options Available! Ark-La-Tex Shop Builders provides modern post-frame construction in Haughton, LA and the surrounding areas. Our buildings aren't just beautiful and unique-they're also built to last. We take on a variety of projects, and we're fully committed to each customer. People in the Ark-La-Tex region are discovering the many benefits of post-frame construction. 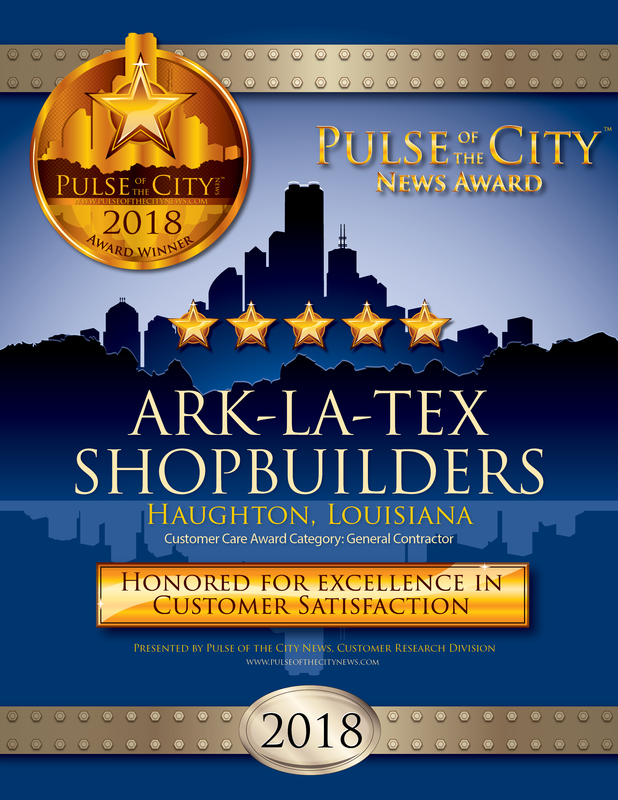 If you want to turn heads in your community with our uniquely designed and professionally built post-frame barns, sheds and shops, call Ark-La-Tex Shop Builders and our pole barn contractors ASAP. Post-frame construction is the oldest form of construction in the world. With the help of Ark-La-Tex Shop Builders, you can enjoy the same quality, durability and strength of construction used from before the time of the Vikings. Post-frame buildings are cost-effective and energy-efficient. We also install durable energy-efficient metal roofing that will not only look great, but will increase the value of your home. What do you get when you pair the oldest form of construction with a construction company that has over 19 years of experience? You get stunning, well-constructed buildings. You can count on Ark-La-Tex Shop Builders for high-quality craftsmanship completed on time and on budget. Our process is simple and convenient. Our pole barn contractors are happy to visit the site to assess your needs and discuss your concerns. We provide free estimates, so call us today at 318-469-4843. Copyright © 2019 Ark-La-Tex Shop Builders, all rights reserved.